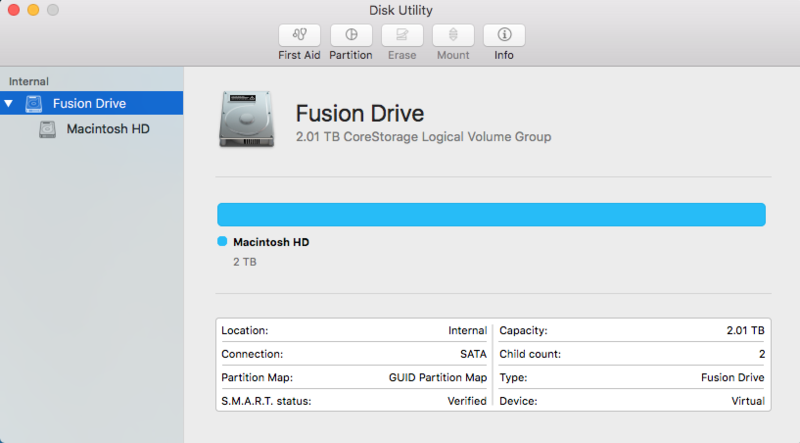 I was formatting my Fusion drive of 3 TB and unfortunately it seems 1 TB is missing. I tried to search the answer on this forum and found some relevant answers here but my situation is bit different from rest of them. I followed the question Can not delete Free Space on iMac 5K: Partition doesn't appear in CS list, but in my case there is no disk type "EFI" with name "NO NAME" at index 4 in this question of /dev/disk1. I also followed the question How do I regain unaccessible free space after a failed Boot Camp install on a non-Fusion drive?, but in my case the partition with no "contents" in output of sudo gpt -r -vv show /dev/disk1 is not in last rather in middle of partitions. As one can see size of disk1 is 3.0TB at index 0 of disk1 in the output of diskutil list. There is no index at /dev/disk1 which has missing 1.0 TB (3.0 TB - 1.9 TB - 209 MB - 650 MB) as mentioned in the first question (Can not delete Free Space on iMac 5K: Partition doesn't appear in CS list). After investigating the output of gpt -r -vv show /dev/disk1 I can see the there is a missing entry in middle where content field is missing for it. How to recover this lost space of around 1TB? new partition at disk1s3 is taking 1.1 TB. How can I recover this back and add it to my Macintosh HD? Hi @klanomath as your comments I performed commands you mentioned. I could not run second command successfully. 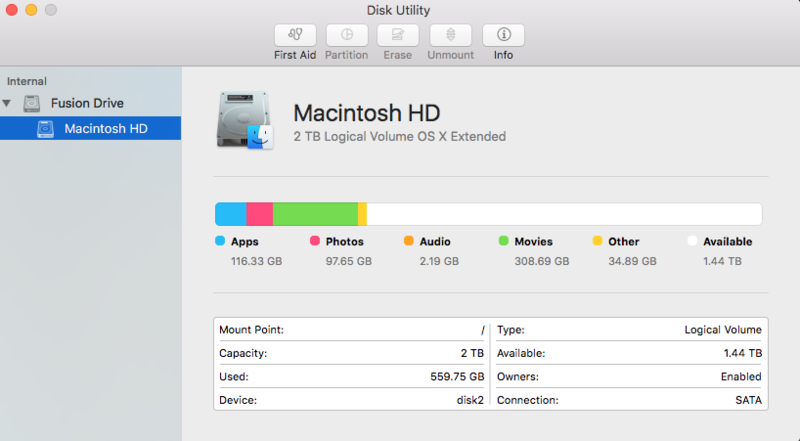 Browse other questions tagged macos hard-drive disk-utility core-storage fusion-drive .